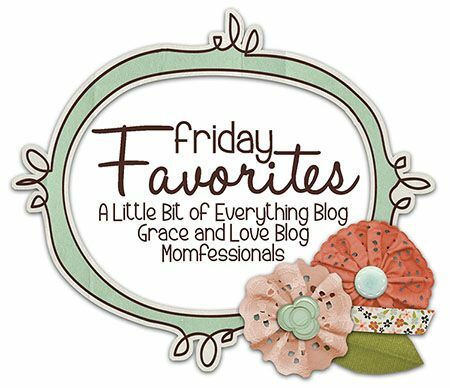 Chasin' Mason: [Five on Friday] Happy Halloween! Secret Santa Mommy and Me Book Exchange. 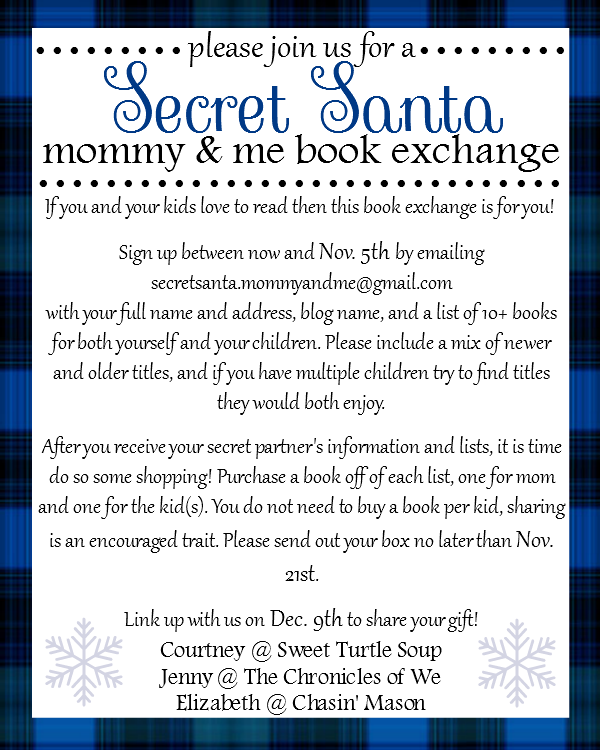 So excited to announce our Secret Santa Mommy and Me Book Exchange! If you didn't see the original post, click here for all the details. Don't forget to email in your RSVP and book lists by next Wednesday! One million and one thanks to this girl right here. My bff. Vickie. She helped me with what seemed like it would be impossible. And she made it look SO easy. 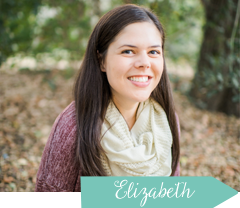 Vickie, thank you SO much for helping me change my blog URL. When I upgraded my phone to the iPhone 6, Seth took my old iPhone 5. We just had his phone lying around the house, planning to do something with it, when he heard a commercial on the radio about turning in your old phone for a $200 bill credit. We figured that surely this could not possibly apply to his old iPhone 4S but we decided to try anyway since the commercial said "any phone". So off to Verizon he went! And lo and behold... we got a $200 bill credit. I looked up my bill the other day and let me tell you, there's nothing more exciting than seeing "You owe -$33.11 by November 7!" I'll take it! They taste like THIN MINTS. Yes, GIRL SCOUT THIN MINTS. Run, don't walk, and go buy yourself some mint Oreos! I did it! I did it! I replicated my favorite drink at Starbucks! Hope you all have a fun and safe evening! Wait, whaaaaaa?! You can turn ANY phone in for a $200 credit? Or just any smart phone? I need to find more details on that!! Congrats on your new domain! So exciting!! That's awesome that you got the $200 credit! Last time I got a new phone, I traded in my old one and just got the new one for free. It was sweet! That's so exciting, I'm going to have to go see if I can trade in my iPhone 4! Definitely try!!! There's definitely no harm in trying and if they say no, you can always try to sell it a different way. We were so surprised and excited they took his phone back! Your Oreo obsession cracks me up. BIG TIME. And now I want one. Or 10.
bahaha...what is it about guys that you send them to the store from whatever item, and they come back with that item but slightly wrong. I love the mint oreos though, but if he came back with the yellow ones...that would definitely deserve a dirty look. I just ate way too many fritos, which was my halloween candy chaser. I'm going for healthy today. Peach green tea lemonade is my fave...do tell the combo you used of the ingredients!! I used the green tea bags to make the green tea in a separate pitcher (just followed the instructions on the box). Then I made the lemonade in a separate pitcher (just following the instructions on the container) and then I put half green tea, half lemonade in a large cup and added 1 tablespoon peach syrup and mixed it around and voila! (you could still do half and half in a smaller cup but you may want to use less peach syrup then). 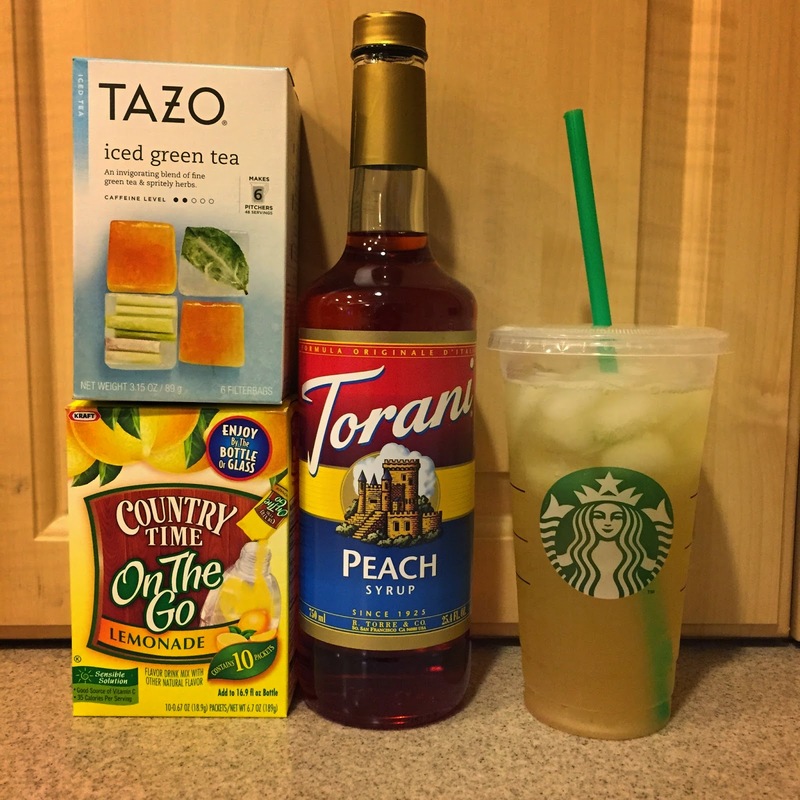 I basically just googled "starbucks peach green tea lemonade" and followed (pretty much) the recipe I found. Super easy and sooooooooo much cheaper! Wait. What? The Verizon thing?!! I wonder if that still applies. We have an old 4s that is basically useless and just taking up space in our "junk" drawer. I wonder if I turned it in if I would get credit? That's so awesome. 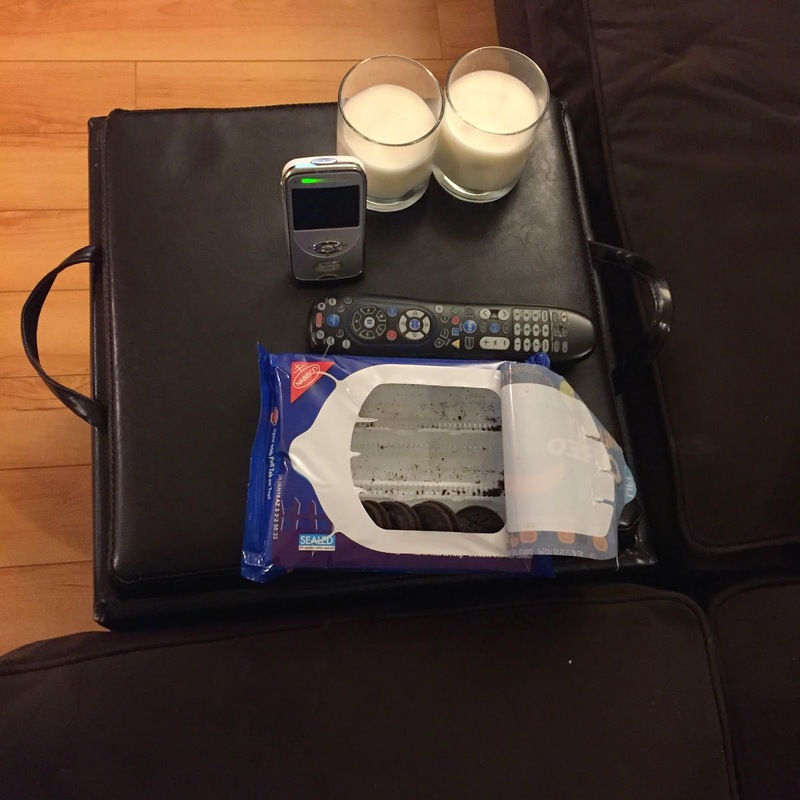 Seth, how sweet to set up your nightly snack! And the mint kind - MY FAV! I can't have them in the house or I will literally eat an entire package. By myself. In one day. Congrats on the new blog URL! I need to figure out how to do that! Me + technology = does not mix. Actually a bigger congrats on replicating your starbucks order! I've tried, even using the Starbucks iced coffee concentrate and it just doesn't taste the same...kudos to all the moolah you will be saving! Oh, and I will be getting back to your email about the book exchange. Sounds fun! mint Oreos?! I've seen them and always snuck my nose up at them! That good huh?! I really don't need anymore but they sound pretty awesome! I could seriously eat a whole package of oreos right now, lol those sound so good. Congrats on the URL! I wanted to shoot myself the day I did mine. Okay maybe exaggerating, but just a little. Ooo, I'm a big Oreo nut too, so don't feel bad :) I had to stop buying them because I too was eating way too many, way too often! Loved that Seth had them set up for you though. That's awesome you were able to replicate your drink- that's often hard to do! Congrats on your blog URL! That's such an exciting thing! and how cool for the cell phone credit! That's super nice to have that surprise. I think we are planning on getting new iPhone and selling our old ones, but doing the credit would probably be a lot easier than trying to sell them. That tea looks super yummy. I am not a big fan of peach but I would try it with another flavor for sure!